The SCS-R junction box is designed for quick, easy and safe connection of the PTSE sensor to your temperature controller. 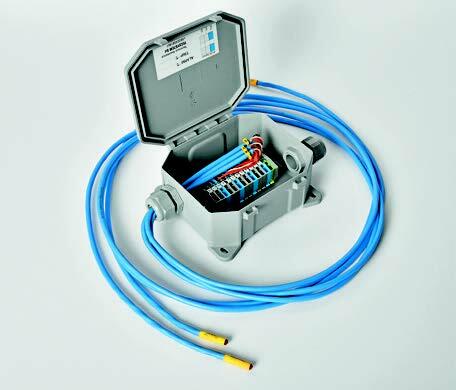 The UL resistant polyamide enclosure is IP54 rated and comes with spring release terminals for connecting the sensors and wiring to the controller. It is rated for operation in ambient temperatures from -20° to +120°C (-4° to +248°F). 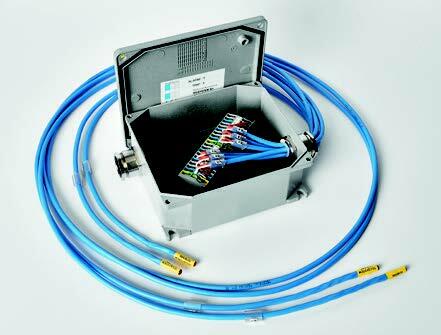 Each unit comes standard with either 3 or 6 PTSE sensors pre-wired depending on which size SCS-R you select. The standard cable length is 2.5m (8.2ft) but this can be customized to your preference. We can also use alternate sensors with the SCS-R depending on your preference.